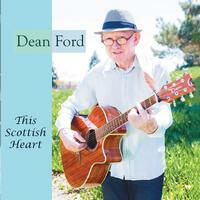 This double disc set was released in 2018, just a couple months before Dean Ford's death. Ford was probably best known for his work with the band Marmalade, but this set showcases his songwriting talents along with a sense of balladic and mellow rock concepts. It leans toward the folk rock end of the spectrum most frequently. Mainstream folk rock sounds are on display here. The vocals and song construction seem packed with style and substance. I love the intricate acoustic guitar textures on this. As the cut works out from there it has a balladic approach. This is particularly effective. It makes me think, to some degree, of the kind of thing George Harrison might write. I dig the guitar work on this. A hard-edged rocking jam, this one doesn't work as well for me. It's a bit rough around the edges at times. Still, the hooks work well. A mellower kind of balladic cut, I love the guitar fills on this track. The whole tune is gentle class that is quite effective. There are hints of Beatles music on this number. That said, this is a lot more traditional folk music in many ways. This is a balladic cut with some great layers of vocals. It's a fun and considerably effective piece of music. The multiple layers of vocals lend a lot of magic here. This is a folk styled cut that works really well. Electric guitar brings more rock to the table here. There are definite Beatles like references on this number. It's a strong cut that lends a different side to the proceedings. A pretty and slow moving balladic piece, this is so cool. It's a nice change of pace, too. This is an acapella chorale piece. It's fairly short and quite gospel in style. Balladic and a bit chorale in approach, this is pretty, but not really my thing. There is a bit more rock sound here. This works well and brings some variety. Folk music and soft Americana styled sound are on the menu here. This is a classy tune on a disc with plenty of classy music. Another slow moving cut, this is pretty and effective. A big change, this has a pop rocking groove to it. It's another strong piece of music. I dig the bass sound on this cut quite a bit. The fuzz on the guitar is a cool touch, too. Another mellow ballad, this is pretty and slow moving. A slow moving rock ballad, this makes me think of Roy Orbison to a large degree. I dig the cool slow moving, but rocking arrangement with guitar fills that serves as the outro. Intricate acoustic guitar serves as the backdrop for this lullaby. Folk rock with a proggy leaning to it, this is a soaring kind of number. It's one of my favorites of the whole set. It gets much more rock based further down the musical road. A Celtic rocker, the title track is powerful and evocative. It's also one of the strongest pieces here. A mellower tune, this is more like the kind of thing we got a lot of on the first set. That said, this is stronger than some of that. It's quite effective, really. This mellow tune has a folk rock texture to it. The multiple layers of vocals bring some style to the number. A basic folk rock styled piece, this makes me think of Dire Straits to some degree. I love the intricate guitar work on this cut, but the vocal arrangement really sells it. Some more energetic folk sounds emerge as the song evolves, and overall this is quite a cool piece of music. In fact, it's one of the highlights here. This has more of a rock approach to it. It's packed with Americana. It's also a powerful cut that lands among the best here. Based on just acoustic guitar chords and voice, there is a homey vibe to this mellow cut. A mellow tune, this is good, but not one of my favorites. A mellow number, this is another that makes me think of Dire Straits a bit. The vocal arrangement really sells this, but I love the echoey guitar fills, too. Another that's has electric guitar and lands more on the rock side of the equation, this is good stuff. This folk rocker is one of the strongest cuts here. It makes me think of The Beatles to a large degree. Another particularly effective tune. 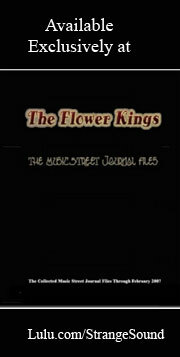 It has its roots in folk music, but is really more of a soft rocker in the vein of 70s music.